We received tons of feedback in response to our recent Issue #1101 Catching up on Windows 10 in which we covered ten different topics relating to Windows 10. As a result we're devoting this present issue of WServerNews to hearing what you, our almost 100,000 IT pro subscribers around the world, have to say about the good, the bad, and the ugly concerning the new platform. Many of you have deployed Windows 10 but some of you are planning on holding back from deploying it, perhaps indefinitely. As the Pointy-haired Boss says in the this Dilbert comic, "Don't hold back anything." Windows 7 had a perfectly good system for recovering deleted files called Previous File Versions. You right-click on the folder in Windows Explorer and select 'Restore previous versions' and off you go. But now in Windows 10 you have to use something called 'File History' which basically mimics Apple's Time Machine. Now, lots of people dislike File History (Google it and see). File History requires a continuous connection to an external backup device (e.g., USB stick) or network, has a clumsy UI, and you have to opt-in. As a system admin it's useless. Also, Windows 7 had System Image Backup, which worked great. A System Image Backup was a snapshot of the C: disk stored in a VHD file that could be restored from bare metal. In Windows 10 it was deprecated and replaced with 'Restore My PC', which is fine if you want to go all the way back to the beginning, but is otherwise useless. And Windows 7 created a daily System Restore Point at midnight automatically. That's also gone in Windows 10. Out of frustration I ended up writing a utility that to bring back all of these nice file recovery features from Windows 7 that I missed so much. I added a modern UI to it and announced it yesterday as U-Recover for Windows Previous File Versions ($19.95 - $24.95 USD). U-Recover is a swiss army knife utility for Previous File Versions, System Image Backup, and System Restore Points. It puts all those Windows 7 features back in Windows 10. Surface Book unable to awaken from sleep -- this has occurred on and off since we purchased it back in April. Have spent many hours hanging on a phone trying to get some sense from Microsoft -- at their request have re-installed the OS twice and many driver re-installs but since the anniversary update it has got much worse -- irrespective of how the power/sleep settings are configured it becomes unresponsive after about 2 hours and has to be hard reset -- this can, and does, happen several times a day -- all it needs is to be left switched on and unattended for a couple of hours. If anyone has any ideas for a cure we'd be very grateful to hear them. As you asked for what annoys the users of Windows 10, one thing sure is the wake-up functionality of Windows. Or rather the fact that Windows decides when to wake up the computer for some updates. In the middle of the night. It seems to have improved now that I changed some power settings telling never to wake up the computer unless *I* tell it to, but I am not yet sure everything has been resolved. Waking the computer to update it on its own might be only a minor annoyance if it would put the thing to sleep again, instead of keeping it running indefinitely (yes, I can set the computer to go to sleep after x time, but for different reasons I do not want to do that). It feels I am no longer in control over my PC. The other irritation is the lack of control over update restarts -- we need to control when a reboot occurs, not someone at Microsoft. As an aside, after the anniversary update installed it took Office365 48 hours to resynchronise Outlook. Again, lots of time wasted calling Microsoft but no help was forthcoming, eventually it reset itself all on its own. For us, W7 is far more productive than W10. So why would we want to change? We're a small business and have a domain setup, we upgraded about 8 windows PCs to windows 10. It has been a mixed experience. We had one program that wouldn't work on windows 10 so we tried to downgrade back to 7, that completely failed so we had to do a clean install of the PC. I'd recommend to anyone in a business keep at least one PC on 7, so you have them as a backup to run any legacy programs on. But the main issue is Windows Update. We can't control how and when we install updates, so Windows 10 will just start updating and badly affect the internet speed and PC performance, which affects our productivity and also causes immense frustration to users! On a laptop, when we connected to a mobile phone wi-fi hotspot the laptop just started updating and chewed up lots of bandwidth. On another PC the update obviously had an issue, and then when windows 10 updated, it failed and then went into a loop installing and then rolling back the updates, we'd disable Windows Update, but after a week or so it would turn itself back on, it was really painful! Why can't Microsoft allow us to control how and when Windows 10 does updates and to switch it off if we want to? As I've described previously in this newsletter, on several of our Windows 10 machines we've simply used Services.msc to set Startup to Disabled for Windows Update Service. Then once a month we have an Outlook reminder to google whether the latest set of Windows 10 updates that were released have been causing any widespread problems for users that applied them. If nothing worrysome is found in the discussion boards, then we manually set the Windows Update Service to Enabled on these systems, start Windows Update on them, and go home for the weekend. I have a client with a Windows 10 Dell laptop with the latest updates. Windows defender scans to about 80 percent and stops with an error, something to do with unable to scan history files. No error numbers. I have done a thoroughly cleaning (the machine arrived because of a common Brazilian banking trojan issue). I have looked at the Defender directory structure and saw no permission issues. I have done DISM steps, CHKDSK and completely restored the machine's performance and everything works as expected except this program. Microsoft makes many recommendations including System restore - there are no past restore points, the malware took care of that. I could also do a Reset, but I do not have the client's software - mostly pirate anyway. I disabled Defender and installed Free Avast (Portuguese, of course) and the client is happy. I am dismayed there is no uninstall or repair for Defender. Sadly, there's plenty to complain about. I started messing with Windows 10 when it was still in Beta mode and generally liked it. We started rolling it out here at work last year after the 1511 update rolled out. Generally with great success. The users liked the interface and found it much easier to use than the Windows 8 or 8.1 operating system. With the 1607 update, I've gotten beyond annoyed, to downright angry. My understanding of Microsoft OS releases is that they generally leave the interface alone unless they do a major upgrade. Such as Windows 7, Windows 8 and 8.1. With these yearly updates now, Microsoft seems to think it's ok just to arbitrarily change things, because they think it's a great idea. Notification area or icons on the taskbar.This one was stupid anyway. It used to be two clicks to change the icons in the notification area and they moved it so it took like five clicks. Same with changing the desktop wallpaper. Anyway, this used to be under Action Center > All Settings > System > Notifications and Actions. They moved it, much to my irritation to Action Center > All Settings > Personalization > Taskbar. I've received a few calls from people wanting to make changes that could no longer find it. Don't get me wrong. I still like Windows 10 for the most part. I just wish Microsoft would think about their users before making changes that affect their computers based on their whim of the day. "In another move to give users a bit more control, apps that came pre-installed with Windows 10 but have been uninstalled by users or deprovisioned by an IT admin will now not be reinstalled by future upgrades." Just wanted to share that after I installed the anniversary update recently and I am unable to click on any of the settings option after searching for it on the Windows Start Menu. It was working prior to all the updates done. For example, when I open the Windows Start Menu at the bottom left of my screen, after I key in check for updates, the search comes up successfully but I am unable to click on it to bring me to the Windows Update page. This applies to all the options related to Settings. I have no issues with Application searches. When I go to the general Settings app page, I am unable to utilize the search bar with the following error message: "Search results aren't quite ready yet, but we're working on getting them together. Try again in a few minutes. The worst part of it? You can't uninstall the anniversary update and because it's a new installation, I am unable to roll back as I did not set a restore point prior to running all the Windows 10 updates. Thanks for the email. Just giving a quick update that I found the solution for it. Apparently Windows somehow installed a 2nd English Language onto the Window 10. After locating it and removal, it works now. Same problem here. 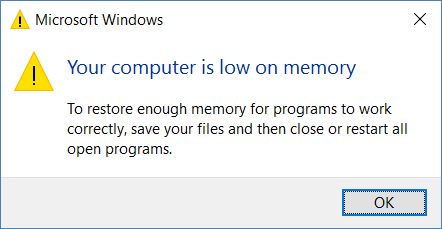 I am using an i7 processor with 16 GB of memory. Many times that I leave my system in a locked state overnight I get this error the next morning after I unlock the system. I reboot my system and think, what a waste of time. I just wanted to give you a quick bit of feedback about your section on Mandatory Profiles in the latest newsletter. Years ago we found that both Mandatory Profiles and the Guest Group options in Windows were lacking for lab/kiosk scenarios. Mandatory Profiles are network dependent which can slow login times or fail to work for laptops. The Guest Group used to reliably delete the user profile on logout, but Microsoft seems to have broken that functionality with Windows 10 and Adobe specifically looks for it during licensing and will fail to active the license for any account in the Guest Group so that was out. In response, we wrote our own service in C3 that comes in at around 30kb which constantly watches logins and logouts so that it can delete profiles when it sees a person logout. Every user login is a new user login, except administrator accounts which we placed in the config files as execeptions to the deletion policy. This method still works like a champ on Windows 10. We have about 50 seats and have currently deployed "Zero" Windows 10 systems. All 50 seats are doing an excellent job running Windows 7 Pro in a fully configured (and utilized) Active Directory environment. No plan to move to Windows 10 -- what little testing/experience I have had with it tells me it will be far too big of a time and resource vacuum when our investment in Windows 7 is just now paying off (in the last few years). I would gladly pay for extended support life for 7 over ever moving to 10. Nothing I've read (or seen) has convinced me Windows 10 is a good migration step. Microsoft's OS deployment strategy and changes with Windows 10 have also encouraged us (more than ever) to pursue other OS solutions (Apple, Google, Linux). Also, the current trend in new IT hardware is a much higher percentage shift towards tablet/phone/handheld device use (which Microsoft is not a front-runner). Keep up the great newsletters and content Mitch (and team)! Prepare for Microsoft Exam 70-339—and help demonstrate your real-world mastery of planning, configuring, and managing Microsoft SharePoint 2016 core technologies in datacenters, in the cloud, and in hybrid environments. Designed for experienced IT pros ready to advance their status, this Exam Ref focuses on the critical-thinking and decision-making acumen needed for success at the MCSE level. IT Pros, if you’re exploring enterprise security, don’t miss this look at Microsoft Passport, which provides two-factor authentication infrastructure that integrates with Windows Hello and attempts to replace or augment user passwords for devices, organizational systems, and applications. Watch here. I rely upon email heavily for doing my work, especially this newsletter. But in order to write about technical subjects I also need to avoid being interrupted by non-urgent matters. So for instance, I don't use any chat apps and I leave my cellphone in the closet outside my main office when I'm at work. What's nice with Outlook is that I can leave it in Working Offline mode all the time but still check for incoming email periodically by clicking Send/Receive All Folders in the ribbon. So when I notice I'm getting tired from sitting at my desk, I click Send/Receive and get up for 2-3 minutes stretching or walking around. Then when I sit back down I scan for any urgent emails that might have appeared in my Inbox, and if there's nothing that needs my attention I get back to uninterrupted work. Multicloud deployments create new IT challenges. Consider infrastructure as code to streamline the app development and management process across multiple cloud platforms. Find out why its also important to make sure it keeps its own identity from DevOps as well. Lost in the containers buzz are several key improvements to Active Directory to make identity and access administration easier. Our editors dive deep into some of these features.